Still, steampunk is a bit of a slippery concept. SteamPunk magazine, the house organ for enthusiasts of the style, defines it thusly: "Steampunk lives in the reincarnated collective past of shadows and ignored alleys. It is a historical wunderkabinet, which promises, like Dr. Caligari's, to wake the somnambulist of the present to the dream-reality of the future. We are archaeologists of the present, reanimating a hallucinatory history." Umm, OK ... Writer Richard Morgan puts it much more succinctly: "Steampunk is the future as dreamt by the past." 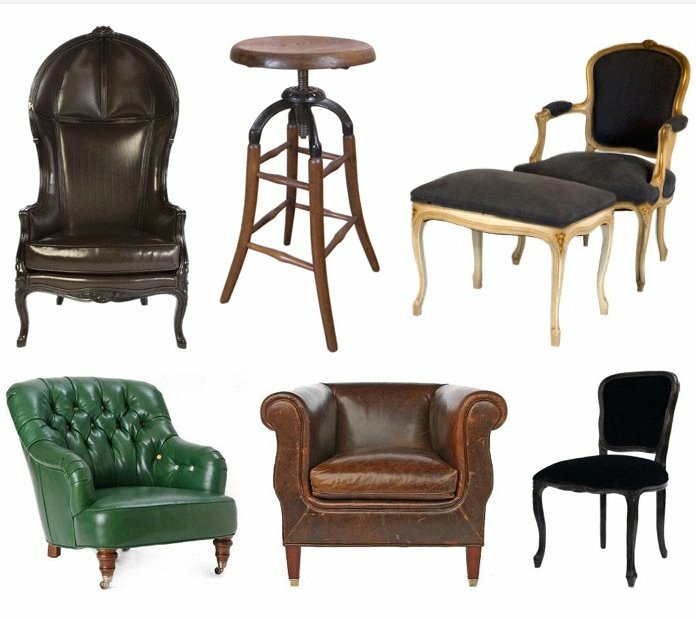 Aesthetically speaking, the definition is loose enough to incorporate everything from high Victoriana to 1930s Moderne, with generous doses of fanciful futurism, vintage industrialism, Edwardian dandyism, and romantic goth thrown in for good measure. Think part gentleman's library, part mad scientist's laboratory, part tinkerer's workshop, and part elegantly decrepit Victorian parlour. 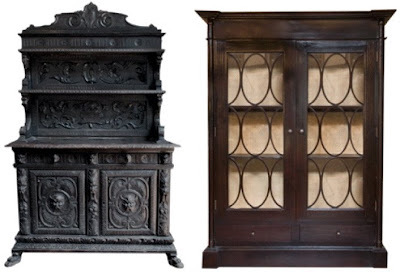 Add a jigger of Cabinet of Curiosities and a dash of Memento Mori. Then haul out the clock gears and magnifying glasses, vintage labware and hourglasses, steamer trunks, antique globes, aged brass and dark woods, apothecary bottles and bell jars, surveyor's lamps and factory pendants, campaign and directiore furniture, industrial antiques, mercury glass, and odd botanical specimens. In other words, steampunk is dark and slightly strange and most definitely not cute. 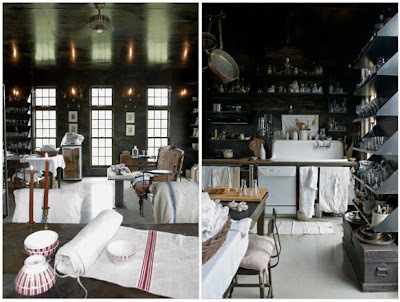 Mildred's Lane, the rural Pennsylvanian home of artist and fashion designer J. Morgan Puett, is a feminine, romanticized take on steampunk. 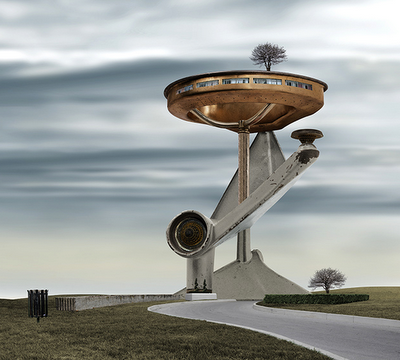 In his Habitat Machines photo composite series, Canadian artist David Trautrimas imagines what steampunk domiciles might look like. Above: The artist's digitally enhanced Sprinkler House. From a philosophical standpoint, steampunk endeavors to humanize the everyday technology we've come to take for granted. These ornate, customized laptops by Richard Nagy are a classic example of the "retro-futuristic" aesthetic. The sets of the films The Golden Compass, A Series of Unfortunate Events, and City of Ember showcase archetypal steampunk stylings. 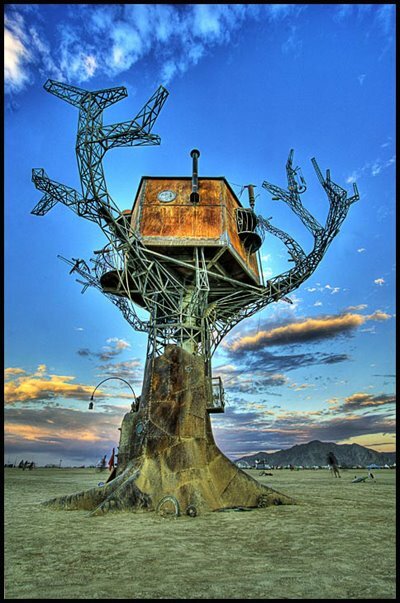 The Steampunk Tree House (designed and built right here in Oakland!) is a travelling installation that's made appearances at Burning Man and Coachella. 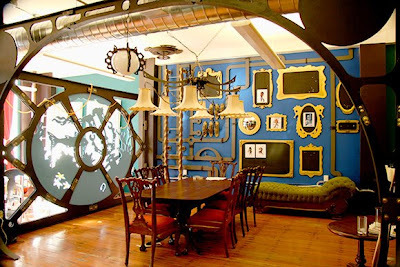 The offices at San Francisco game company Three Rings were designed by Oakland firm Because We Can to resemble the Nautilus in Jules Verne's steampunk classic, 20,000 Leagues Under the Sea. 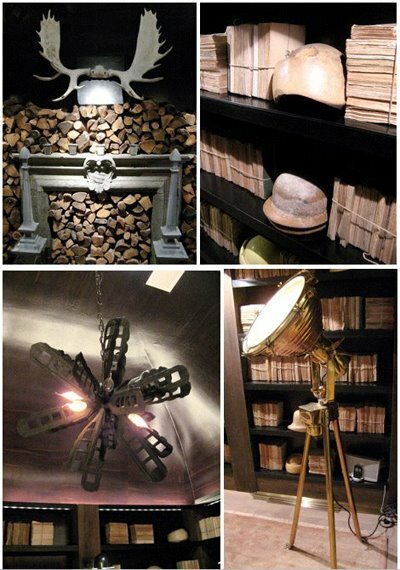 Designer Will Wick's library at the 2008 San Francisco Decorator Showcase had a strong steampunk vibe, with its strikingly dark palette, vintage wing chairs, curious objets, and industrial lighting. 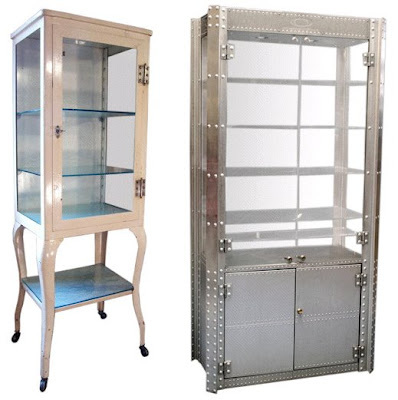 Steampunk has largely been a DIY movement, but retailers are taking note: In addition to the Restoration Hardware items I featured earlier today, it's easy to find steampunk-inspired furnishings at a variety of other brand-name stores. Anthropologie, for one, has many pieces that would work in a steampunk scheme, and Sundance and J. Peterman also offer a wealth of steampunk styles. Of course, taken literally and adopted whole-hog, the steampunk look can be dark, heavy, and cartoonish. 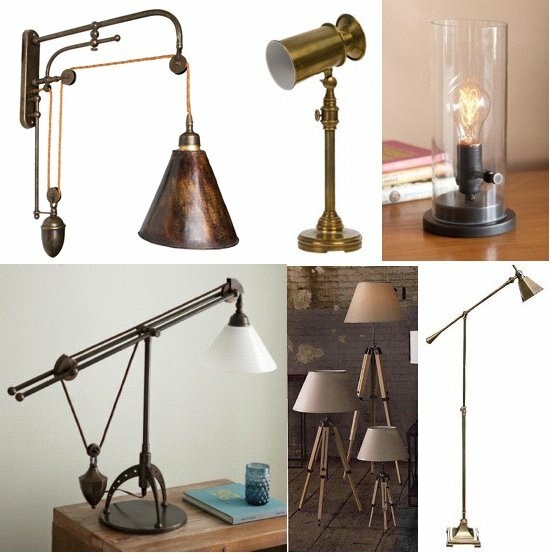 But before I'd even heard the term, I was drawn to certain aspects of it -- namely the battered industrial objects and factory lighting that are key to the aesthetic. I think a few steampunk pieces placed in an eclectic, carefully edited space can lend a hefty dose of mystery and romance. What's your take on the trend? Do you like it or dislike it? 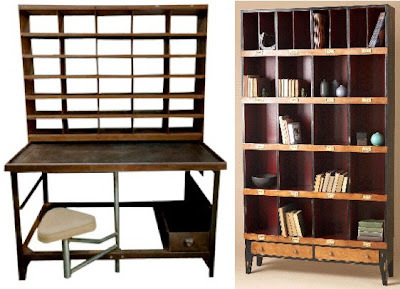 Would you incorporate elements of steampunk into your own home? wow- that's some impressive post! i know (as only another blogger can) the work that went into that, so kudos, leah! i quite like a touch of two of the industrial aesthetic in an an otherwise spare and modern interior. it's great for a bit of whimsy as well- i'm using that pottery barn chandelier in a little boys room, with some vintage home movie cameras as decorative objects to keep the theme going, without being overwhelmingly retro. 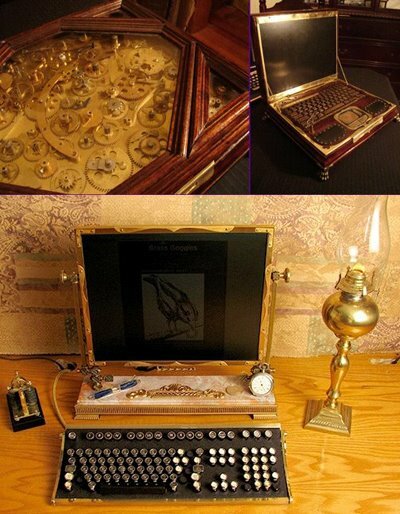 and i quite coveted that steam punk laptop when i first saw it- wonder if it's mac? great post leah- you've outdone yourself. thank you! i have got to say, i feel as if x-mas came around quite early. i love how eclectic your choice of products and venues are. thanks for such a great post!!!! i know you are a fellow oaklander like myself, so if you want to check out a great example of "steampunk" i would recommend heading out to cafe van kleef in downtown (and do try the grayhounds). have a great day!!! 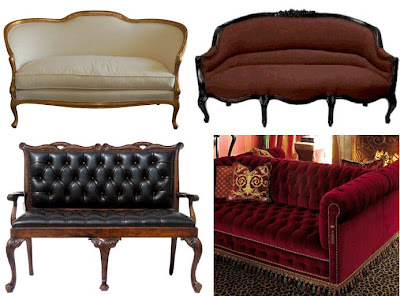 a lot of my inherited/cl furniture happens to be victorian (including a huge double fainting sofa), though my preference is for the simplest of styles. for a while I've thought that moving in this direction (especially in light fixtures and occasional furniture) would help bridge the gap. thanks for tracking down so many purchasable items! I have to echo maison21's comment...Wow! Great job! Such a comprehensive vision of what steampunk means and is. Thanks for the lesson. Leah- What a great post! I learned a ton as I'd never hear of Steampunk! 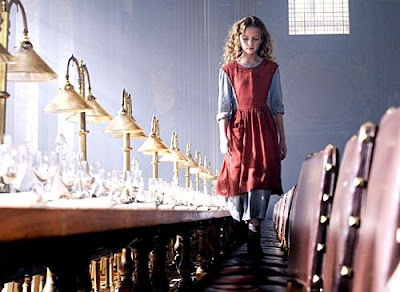 I tend to agree with you though, I think a whole room of Steampunk is overly dramatic and dark but do find myself drawn to a few key pieces here and there. 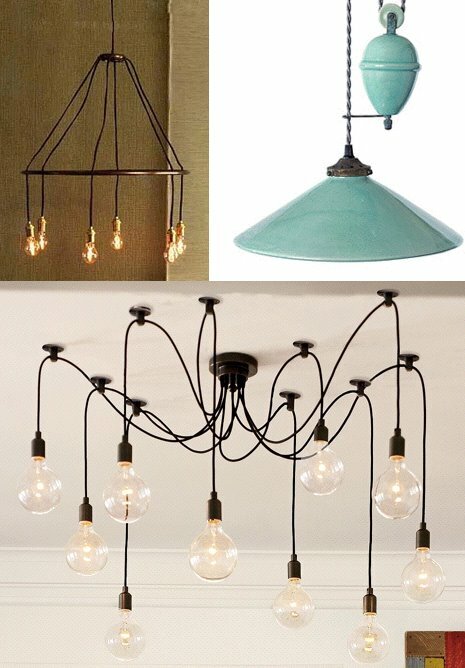 Maybe a coffee table or the gorgeous Jade Rise and Fall Light! you are getting up way too early these days. i love this whole concept, though don't think i could sport a corset or lace-up boots, but you never know. thank you for such a thorough introduction to this intriguing (though a bit over the top) genre. well... the concept of steampunk is that it's an alternate history where electricity is either non-existent or not the main power source, hence why it tends to seem dark. However, I find that some of the best examples of steampunk are actually in video games like myst. Another good source are the movies of Miyazaki - Howl's Moving Castle, Castle in the Sky, are totally steampunk, to the point that the environment becomes a protagonist in the story. Wonderful post! Thanks so much. I like the richness of it and, like any trend, it will be updated as it hits mainstream. Dare I say -So tired of the 50's - 70's retro. I've only heard of steampunk maybe 6 months ago and fell in love. It's got that old, otherwordly, gothic but not too gothic look that I feel in love with immediately. I've been wondering how to incorporate it without going overboard. You gave some great ideas. I was thinking to myself WHAT A WONDERFUL POST and scrolled down to find that many others shared this sentiment. Thank you so much. I'm intrigued and inspired and informed. My friends at Housewerks (usually write that housewrecks) have a collection of original steampunk goods for sale at their store in Baltimore. They've been selling this stuff for ages. Not usually my style, but I can appreciate it. 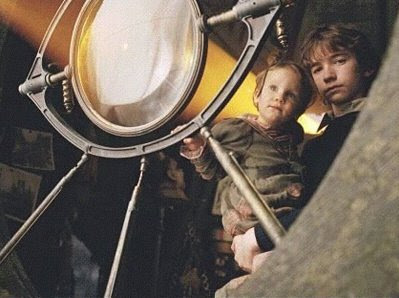 We just watched City of Ember the other night.....but aside from that what a fantastic post! I haven't been this excited by a blog post in quite sometime, to the point of showing my graphic design students tomorrow! Thanks! Thanks so much, everyone, for your kind words! So glad that you all are finding it interesting! My friend Susanne has been doing steampunk for years -- I didn't know it had a name. She houses her drinking glasses in an old dental cabinet which always made me go "ewww." In fact, most of her stuff is just this side of yuck for me. My definition of the movement: somewhere between Victorian and industrial but mostly just skin-crawly/creepy. such a relief to go beyond MCM for inspiration. Great post! First ever comment from me here. Great post Leah! The impressive length of this post convinced me to air my view on the matter. I have to agree with the creepiness, but if used in moderation, to 'quirk up' your apartment, I think it's a winner. I've got a 30s green travel trunk as a coffee table, which is probably as steampunky as I will ever get, haha! I can appreciate dark and mysterious, but as far as living goes I want to be comfortable at all times and do my best to make others feel at home. 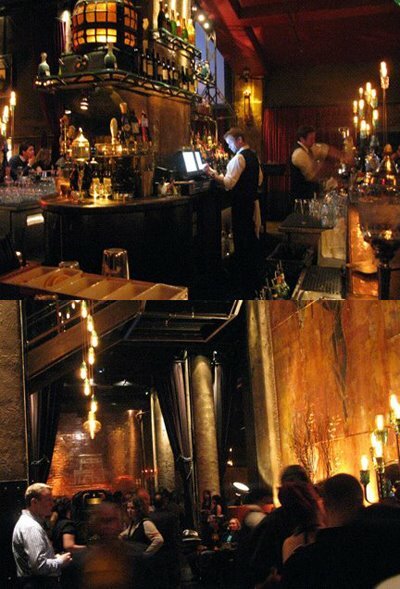 I don't think a place completely built on a steampunk style would be very warm and welcoming. I absolutely loved this post! Very well done! Indeed, it is. Not only did I enjoy a fine absinthe cocktail off the menu on my first visit, one can also purchase pre-made absinthe cocktails in souvenir lab bottles off of (what else?) the absinthe cart that is rolled through the club all night by a young lady dressed in a green fairy costume. Whether you're interested in steampunk or not, The Edison is not to be missed. This is so my style - I just didn't know it had a name until now. I like my house to interesting and even faintly scary, you don't want those guests staying too long. 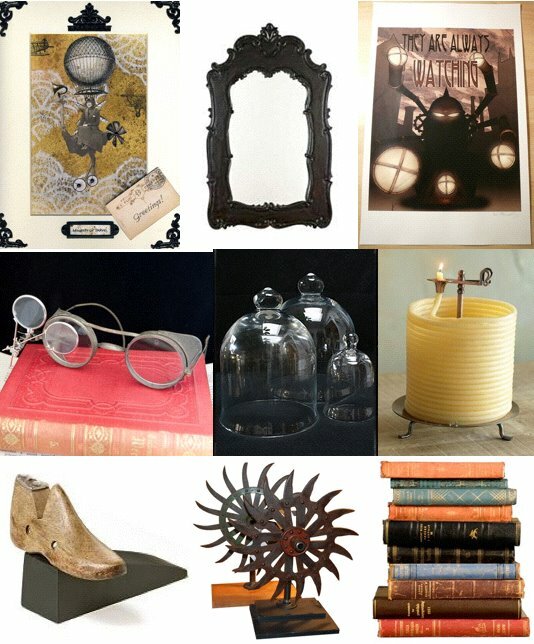 Fab post...Thank you for sharing all these great finds! 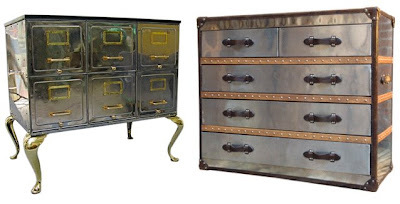 I was sent here from Steampunk Home and really enjoyed your delightful post, Leah! I've decorated with "steampunk" pieces for years before putting the name to it, with old antique, industrial, and medical bits and pieces and a dark esthetic. Some of my items come from my family home and Dad's workshop, others from auctions or the curb. 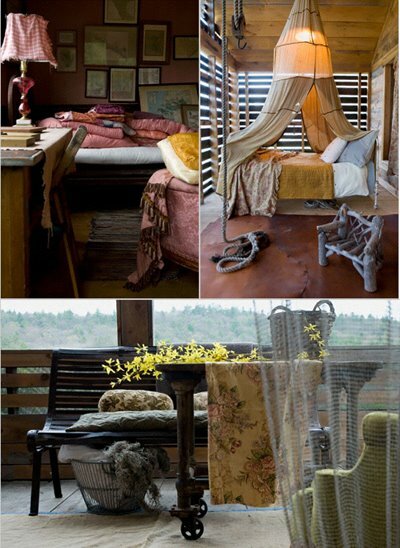 I like authenticity and don't really like to see Anthropologie and others pick up the style and overprice it. 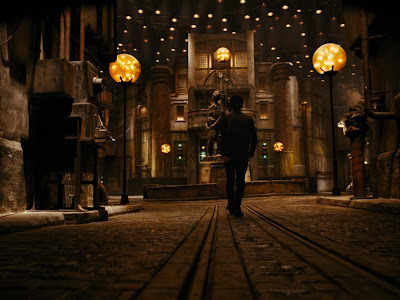 Don't forget Jeunet & Caro's City of Lost Children for more Steampunk movie set design. Leah, how fascinating to learn more about this style of design! Thank you for all of the great images! Reminds me of Mary Poppins (Angelina) gone punk with Oliver Twist added as the kids to try to nanny. Director would be Edward Scissor~hands - played by Johnny Dep. Maison21 had it right--as a writer myself, I really appreciate the work that went into creating this as a well-researched, well-illustrated, informative post on Steampunk. I like the Thomas Mann-as-seen-through-Tim- Burton's-eyes quality of Steampunk. I also like the techno-eccentricity of it. And I have received tons of emails telling me that they loved your post. So, thanks for helping us all! Very well-researched and -compiled post ... kudos! However, my opinion is that the steampunk aesthetic will ultimately prove to be a flash in the pan. 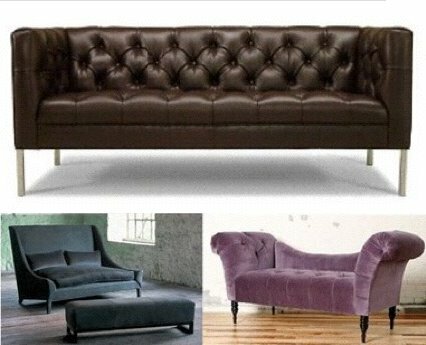 It's far too derivative, kitschy and contrived - both physically and visually - for comfort ... and should comfort be what a home is all about? 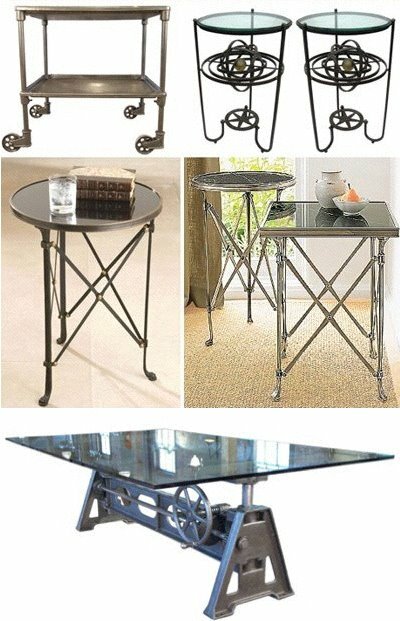 This is one of the most excellent posts I have read on the subject of steampunk decor and trying to define it, or at least give some direction for those of us trying to design/recreate it. My project is my husband's office. As a designer, I have never created a steampunk "look". But, I love the challenge, and I am so very grateful for this post and all the links! As a blogger, also, I know this post must have taken you a few hours--so THANK YOU! !